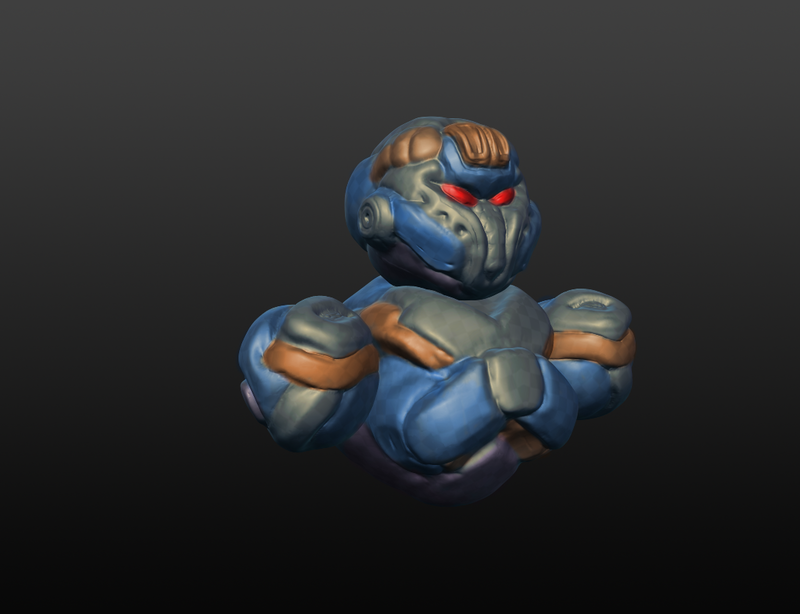 Since this weekend, I've discovered a new program named "sculptris". It's by the same guys who made Zbrush, and it just happens to be completely free. I'm still far from mastering this tool, but here's a short render I colored in thegimp. As you can see, the general quality of my results with this program still leaves a lot to be desired, but so far working with it has been fun, so expect a lot more where this came from.